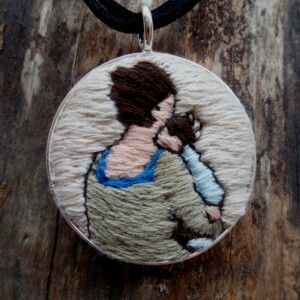 Perfect for the new mom, mom to be or anyone who appreciates motherly love. 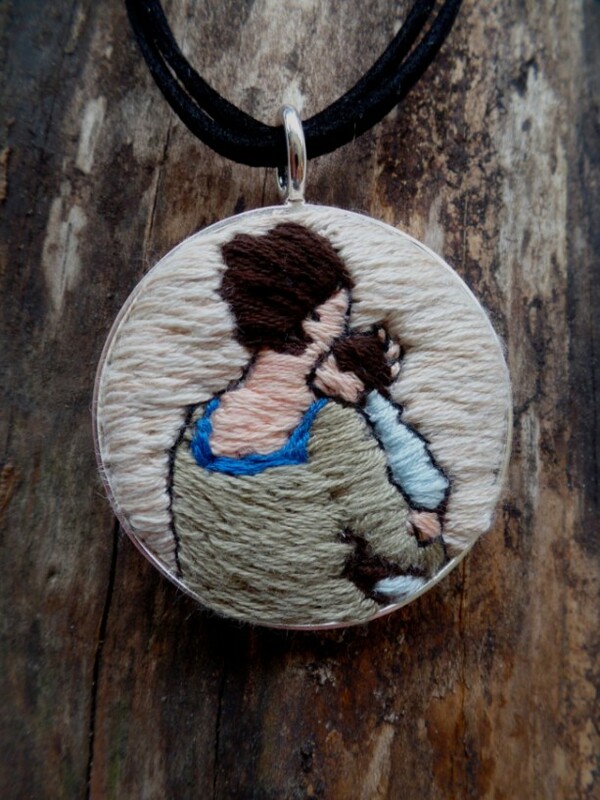 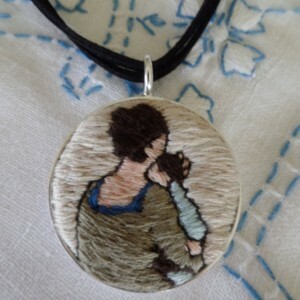 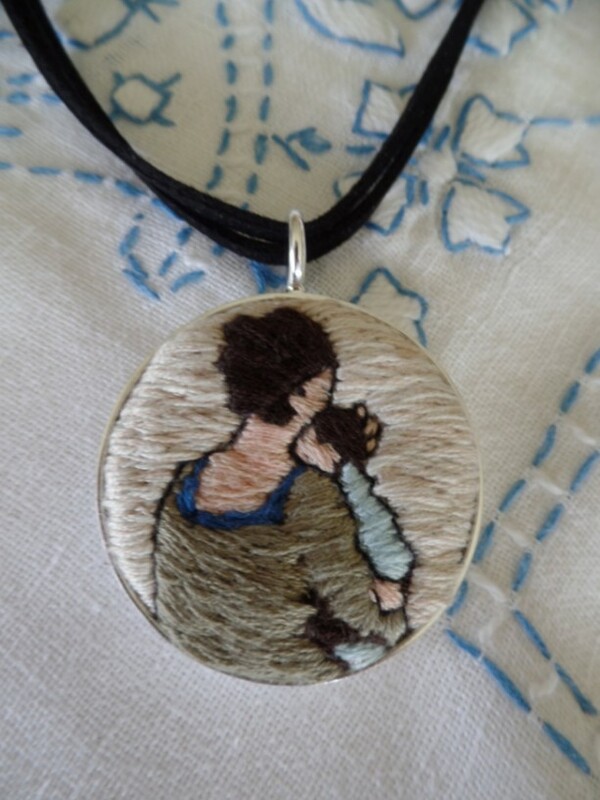 This sweet folk art inspired pendant shows a mother cradling a baby in her arms. 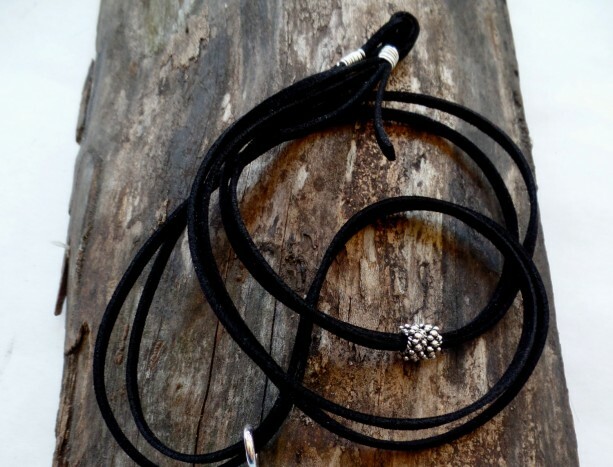 The neutral tones make it so easy to wear. 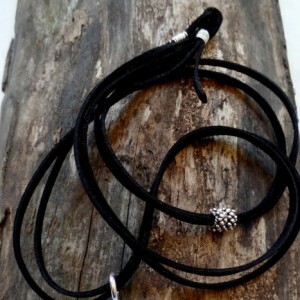 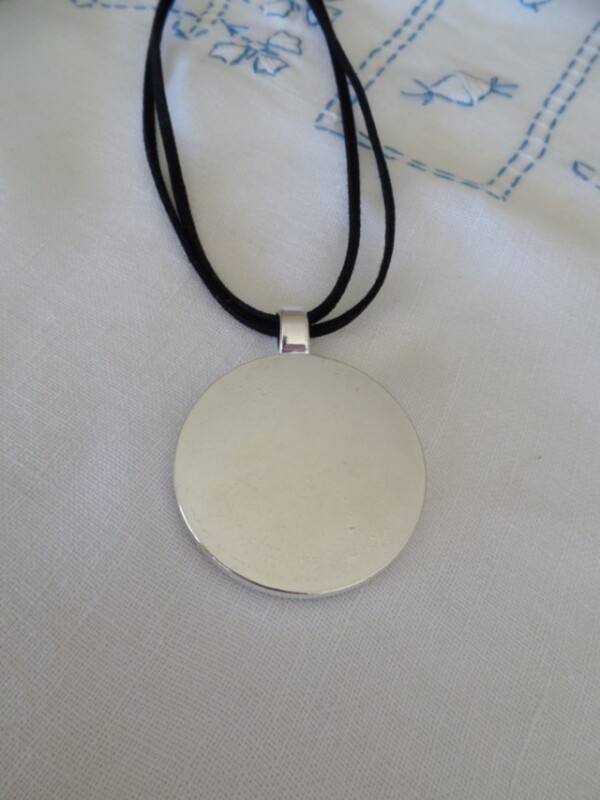 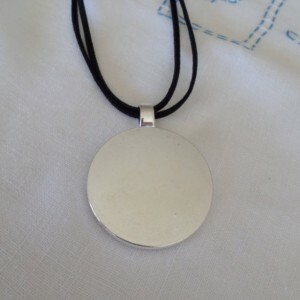 The pendant is set in a 43mm silver bezel hanging from a 36" adjustable suede cord topped by a silver accent bead.